This site's purpose is to provide quality service to area students and musicians. Please contact me if there is anything you need or if you have any questions. I handle instrument repairs, music orders, and accessory orders. For any repairs or orders you have, please fill out a Contact Form and I'll get in touch with you as soon as I can to arrange pickup and/or delivery. For online instrument rentals, click on the following link and follow the online instructions. Contact Brett if you have any questions. This is new! 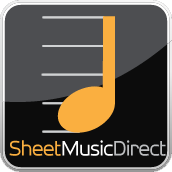 Sheet Music Direct is Hal Leonard's digital sheet music service. If there's something you're looking for, click on the logo to the left and see if it's there. If it is, buy it and just print it out. If you can't find what you're looking for, let me know and I'll order it for you. UKULELES: Diamond Head ukuleles (DU10) are available in Pink, Blue, Red, Purple, Orange, Light Blue, White, Green, Yellow, Brown, and Black for $33.75. - Heads up! Marching band supplies category added on the accessories page. Click Here! Brett Rynhart is originally from Orangeville, Pennsylvania, and is a 2004 graduate of Central Columbia High School. He attended Indiana University of Pennsylvania, graduating with a BSED in Music Education in 2008. During his college years, he participated in the Marching Band, Wind Ensemble, Chamber Singers, and is a member of Phi Mu Alpha Sinfonia. He taught for 3 years at Central Columbia Middle school as the Chorus director and General Music teacher. He then became a service representative at Haines Music in Selinsgrove until they unfortunately closed. Shortly thereafter, Brett became a service representative and affiliate of Country Music. Rynhart Music Enterprises LLC was then established in June of 2013. 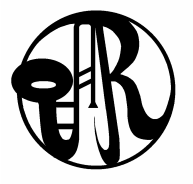 As of September 2, 2014, Rynhart Music Enterprises LLC is now an affiliate of Robert M. Sides Family Music Centers. Brett currently performs with several area bands and ensembles as a trombonist and vocalist, including Into the Spin, the Penn Central Wind Band, and performing in the pit orchestra for local high school and university musicals.